Today’s the day you can start earning Bonus Days coupon codes to use in September! There is no limit to how many coupons you can earn, so now’s the perfect time to get items on your wish list or purchase limited-time bundles during the Color Your Season promotion. Here’s the deal: For every $50 you spend August 1–31 (before shipping and tax), you’ll get a $5 Bonus Days coupon code that can be used September 1–30, 2018. Learn more about earning and redeeming during Bonus Days (click here). 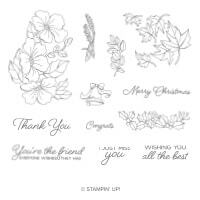 Card Samples by Stampin’ Up! ♥ Blended Seasons Stamp Set, an exclusive 10-piece wood- or clear-mount stamp set with images for every season! ♥ Stitched Season Framelits Dies, a coordinating stitched die that includes stitching on both the positive and negative images! 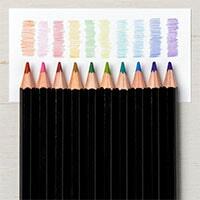 ♥ Watercolor Pencils in 10 new colors! Been wanting to do something for yourself lately? Why not start a brand new hobby . 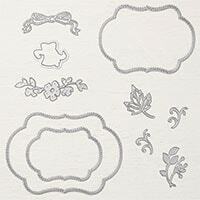 . . like papercrafting? We make it easy when you sign up for Paper Pumpkin, because we do the shopping, designing, and cutting for you. Don’t wait! 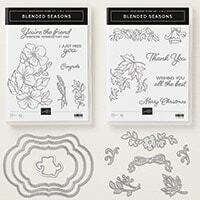 Subscribe with Code BLOOM0818 at paperpumpkin.com by August 10, then share your easy-to-assemble creations with your friends. Not only will you develop a new skill, but you’ll also have an excuse to reach out to the people you love with something you made yourself. Hope you enjoy creating with me!